August 2013 | Manny Vergel spaces out! Saw this commercial a few years ago in the national geographic channel. If you'd like to see the video, it's here. 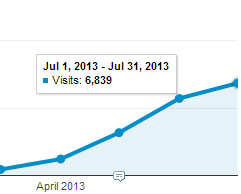 Last year, 2012, I had my first 3,000+ visits which was around 200% increase in the rate of visits from 2011. This year, 2013, I had my 16,508+ visits or around ~500 visitors per day. This is a 400% increase from the previous year. My yearly statistics also improved from 22,000 visitors to 119,000 visitors; a 440% increase. 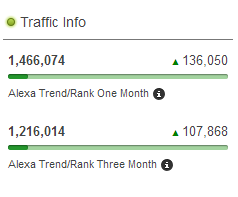 My alexa rating continues to move up from a ranking of 1,192,962th in 2012 to 651,786th in 2013. Mvergel.com is in the 6 digits ranking now, target is to move to 5 digits or below the 100,000 mark. This is good, considering there are now 3.58B websites in the world as of Aug 2013. 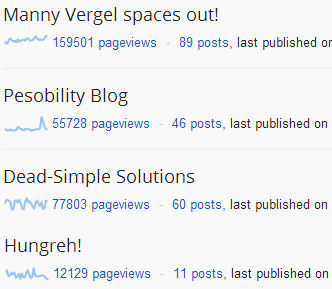 For my blog statistics, my personal blog "Manny Vergel spaces out!" with 150K+ page views is still leading because I can write anything under the sun. Whatever topic that's not related to finance, programming or food and that's a big scope. My programming blog is in the second place with 77K+ views. I mostly write about Node JS, Oracle, SQL, iOS (iPhone, iPad) and Java. Pesobility blog is in the third place. This is my niche blog about finances, investments and the Philippine Stock Market. In only a few months, it already has 55K+ pageviews. It will probably be my number one blog soon (2-3 years). My food blog came in last with 12K+ views. I enjoy eating in new restaurants but I don't have the time to write much about it. Hopefully soon, I'll do something about it and probably create a separate website with collaborative food blogging since this is my weakest point. I need the help of others to write content and increase traffic. SEO was definitely improved. Choice of keywords and tags are important, how you construct an entry to use different words that has a more probability of being searched. The Google+ profile helped so that you'll see a picture when I'm in the search results of google. Additional rich meta's like in reviews, so you'll see star ratings. Writing more content. The more original, the better as Google is not fond of duplicate contents. As always, content is king. Two of the most memorable blogs I wrote was about 1) The Murder caught by Google Maps (it has 37K+ pageviews) and 2) Do bananas float in sea water (from the movie Life of Pi; it has 50K+ page views and posts in the comment section were remarkable, people were really posting their opinions and views). 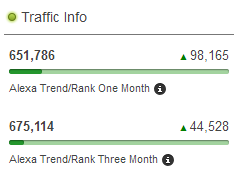 People ask how you can increase your site traffic. 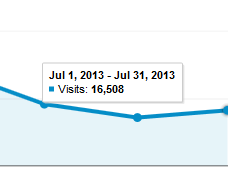 My site traffic is not even that huge (currently 500 to 1500+ page views per day) but it's definitely improving. If you're still stuck in the very low levels like 20-30 page views a day or less, you may consider improving your content first. What are you offering? Is it offered by other websites, if so, what's the difference? Why would people visit your website instead of the competition. If you're blogging or making youtube videos, think what is interesting, what is stimulating to the mind; maybe something controversial, or something others would find useful. Know your audience: mvergel.com is trickier since this is not a niche site, and people from all over the world visits this site unlike with pesobility.com where my site traffic mostly comes from my country, the Philippines. Finding your niche may also prove beneficial. Publish what you're really passionate about and focus on that specific category. For me, I became passionate about investments and finance management and I want to share this to other people because I was amazed that there's so little information and awareness especially in my country. In pesobility, I write posts about the different investment vehicles and my views on the Philippine Stock Market. Anyway, this is for another blog, I'll post more about this in a separate post. As I said in my previous post, I'll apply the SEO techniques I learned in my new niche website pesobility.com. In addition to these, I've also added social marketing since I have a specific target audience. It's only a basic marketing like having a Twitter account and a Facebook page where people can follow what's happening to the website. This proves to be beneficial in traffic. 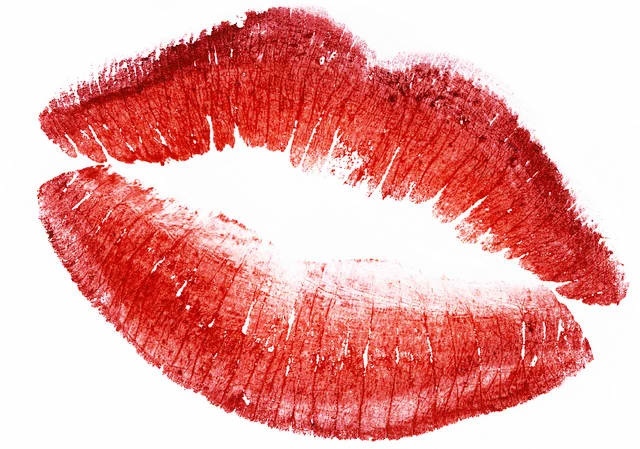 Pesobility.com started early this year (2013). It is moving quickly, it began with 130 visitors last February then 1000+ in April, and 6000+ last July. Alexa ranking of pesobility.com is now at 1,466,074. I'm hoping to see an improvement by next year since it has been only up for a few months. 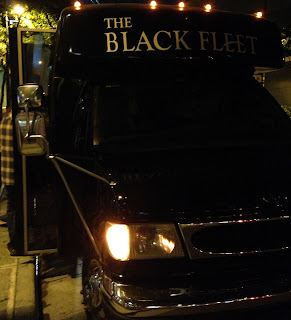 I just had to take my mind off (of) something deeply troubling so I decided to accept a friend's invitation to try the Party Bus and document my experience. When I first heard of Party Bus Manila, I immediately thought of Pub Crawl Boracay, it has a similar idea where you party in a group, hopping from one bar to another with activities along the way. I invited a few friends to try the Party Bus Manila. Registration is easy, you just go to their website and sign up. You will be contacted by a representative and get the instructions to pay the 50% down. The registration fee was P1750, the price was lower than the usual since it was a first anniversary event. The meeting was set at 9:30PM, Distillery, Fort. If you arrive at exactly 9:30PM though, it's most probably that you'll be one of the early birds there but no worries, you get free drinks anyway; in our case it was either Stella Artois or Rum Coke. The actual event started around 10PM+. To lighten up the mood, they lined us up, boys vs girls in parallel. They asked several questions that you need to answer to the person in front of you. It was alright. The party limousine is like a big van; I was surprised that they were able to fit 30 people there. It was a little hot inside though, probably because of the number of people inside. They should definitely improve the air conditioning. They gave drinks inside the bus. For those people who are wondering if you can drink inside the bus, yes, you can. I was hoping to get a taste of gummy candies soaked in vodka, but this was not present at the time. People who joined Party Bus were very friendly, and I get to meet people from different countries, there were this Swiss guy, Vietnamese, Thai and there was a Filipina who talked with a Singaporean accent. I noticed, however, that the organizers were using a point and shoot camera so I asked what's up with that. They said that the official photographer was sick. No worries.. for now. 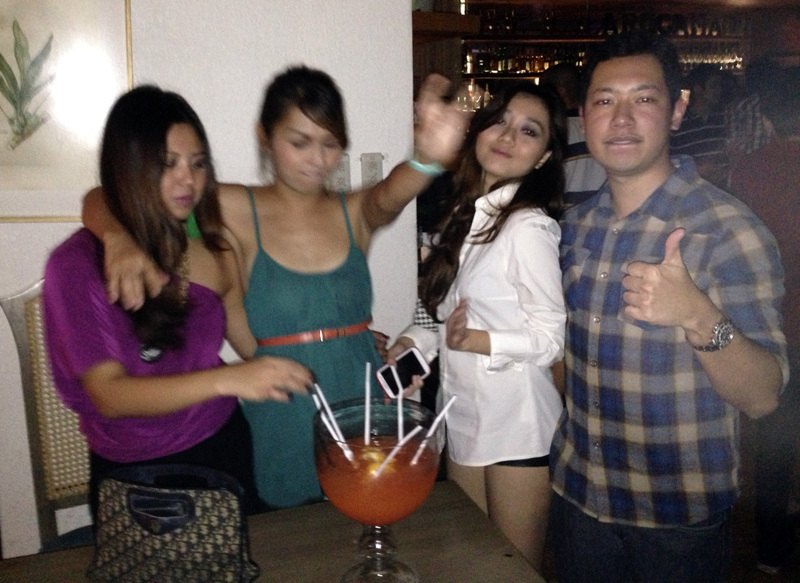 The first official stop was Aracama bar at Fort Taguig. When we entered Aracama, many of us thought that we were at the wrong place because people were dining, there was no bar area in sight, and the place was well lit. Little did we know that the party is upstairs. The place is well maintained, service is excellent, it wasn't overcrowded, or maybe not yet. Aracama was fun, there was another boys vs girls activity where a big glass of alcoholic drink with many straws was given to each group and the first to finish the drink wins. Of course the boys won. We stayed a little longer then went to the second and final stop, Urbn. A disappointing thing happened when we went to Urbn. They won't let some of us enter because the place was overcrowded. So we waited.. and waited.. it was more than 30 minutes of stress, and worse, we were asked to fall in line thrice and we were discarded thrice! I don't know what happened there, maybe there was a miscommunication between Urbn and Party Bus' management. The reception was not very nice, bouncers were a bit rude, probably because they were stressed with the number of people. This contributed to the already stressful situation. People were thinking of leaving and going back to Aracama or to another bar, I think some did. Eventually we got in but the high was already gone, it's one of those setbacks that dampens one's mood. My excitement was lessened by the wait and the heat. I texted the Party Bus management that I was disappointed. One representative talked to me and said sorry, and explained many things I didn't hear since it was so loud inside. I'm the kind of person who says what's on my mind and I just had to say my piece to them. It was something I hoped I didn't experience but it already happened, not much we can do about it except to just shrug it off for the moment and just continue to have some fun. Overall, it was alright, you get to party and meet new people and possibly new friends. I still enjoyed with despite the minor setback. People like me who loves to party should definitely try this, or for tourists looking what to do in Manila; this is a fun experience. 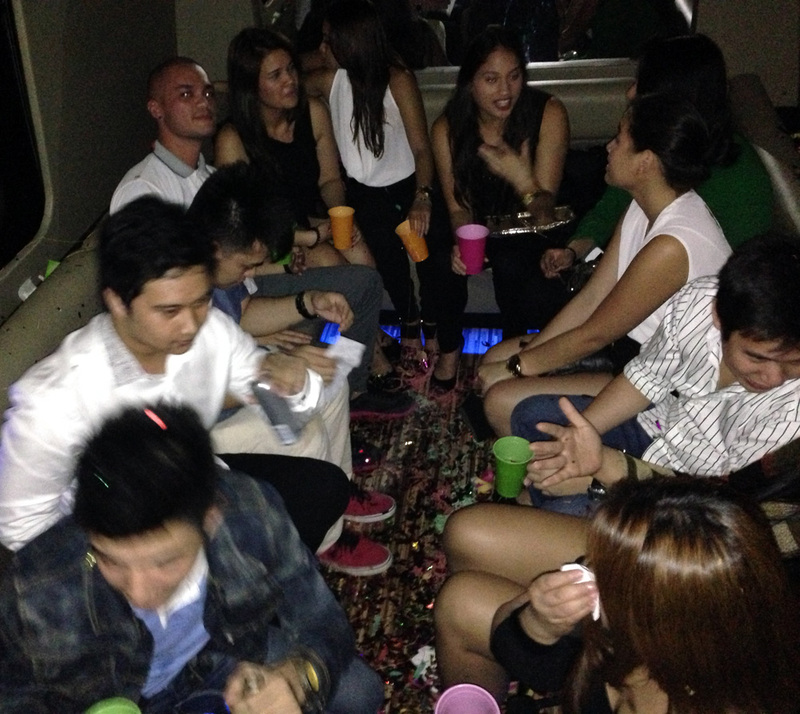 I give Party Bus Manila a 3 out of 5 stars. I would've given it a 4.5 if it weren't for the incident. Alien Reptilians Control Our World, would you believe? Obama is the AntiChrist: Thirteen percent believed this is true. So will Obama unite the entire world as one and place the mark of the beast to earth's population? We'll see. Global Warming is a hoax: 37 percent believed global warming is a hoax. Somehow, part of me doesn't believe in this; that the earth is in its natural cycle of getting hot / getting cold, and it's not caused by what we do. Fake moon landing: Seven percent believed the moon landing was faked. I watched this in Exposed and they showed some compelling evidences; that it has been done in a studio with a controlled environment. I don't know, NASA / other scientists have already disproven each evidence with a scientific explanation. Who knows. Shape-shifting reptiles from other planet takes on human form to control our world: Four percent of Americans believed in this. This is one of the more bizare conspiracy theories I have heard / read. But when I googled it, there are images and videos of evidences that this is true (I'm guessing they are fake). 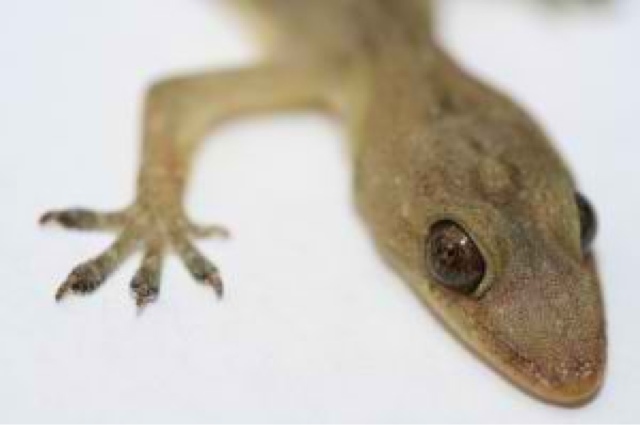 Some show eyes of politicans that look like reptiles, or part of the body that looks like it's partly lizard. And to think a good number of people believe in this stuff makes me uneasy. Aliens exist: 30% said yes, they believe it. There's a lot of shows / documentaries about aliens and most are fun to watch. But if I were to pick one version, I would pick that we, ourselves, are aliens. A secret powerful elite conspires to rule the world through an authoritarian world government and impose a new world order: 28%. Sounds antichrist-y to me. Before that happens, I guess we need the unification of countries to form a bigger organisation like what happened in European union. Will there be an Asian union? It's hard to control so many counties; like in the military, probably easier to do a chain of command. I'm just saying, but I don't believe in that a new world order is in the making. Media or the government adds secret mind-controlling technology to television broadcast signals: Fifteen percent. They don't have to do that actually, even without the technology, just watching normal tv will hypnotize you and put messages in your head and order your subconscious to do something. Even a lie told often becomes the truth. That's why advertising is very effective. Pharmaceutical companies and the medical industry are working together to invent new diseases for more money. Fifteen percent. People are watching too many hollywood movies. And probably those same people who owns pharmacuetical companies will think of doing that, in the end, conspiracy may become the truth. U.S. government allowed the 9/11 attack. Eleven percent. No comment on this controversial manner that happened on September 11, 2001. I believe in the conspiracy that an entity in U.S. are watching everyone's blogs, emails, facebook groups, chats, etc. Kinda like the TV series, Person of Interest. Now, I'm watching too much TV. Labels: 2013, America, Conspiracy theories, Interesting, Poll, Reptilian conspiracy, U.S.